The 917 is one of the most iconic sports racing cars of all time, largely for its high speeds, high power outputs and ridiculously low weights. 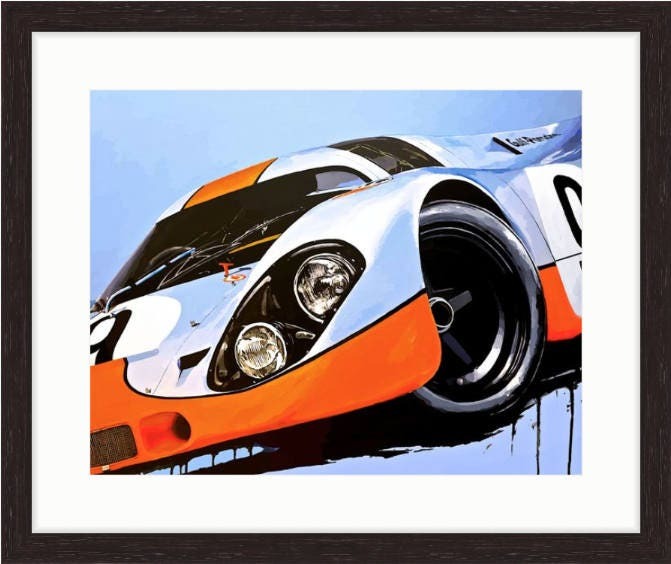 It was also immortalized by Steve McQueen in his 1971 film Le Mans. 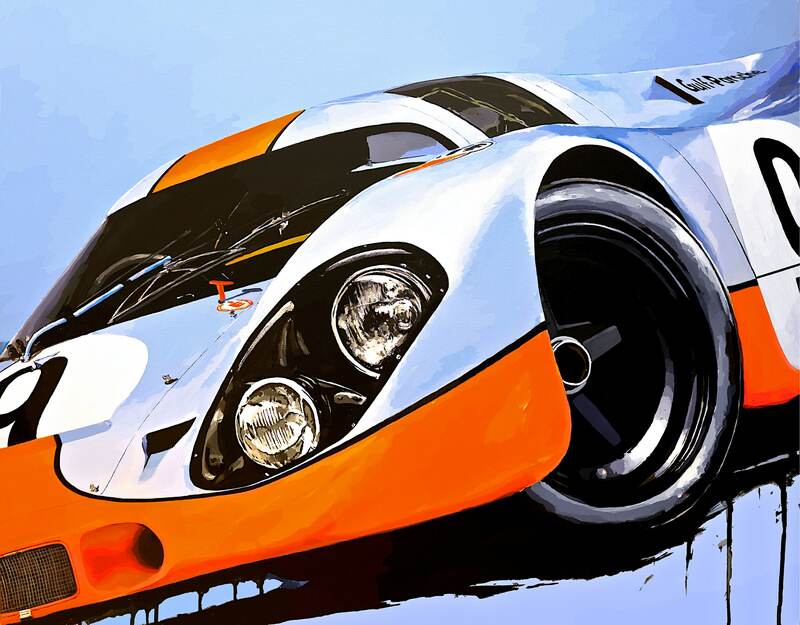 The original painting (inquire if interested) intended to emphasize how incredibly low-to-the-ground and aggressive the 917 is. As above, but the canvas is 'wrapped' around a canvas frame with a 1.5" depth. Signed prints are printed on Kodak Professional Endura Premier paper for exceptionally sharp and precise colors, bold, rich blacks and clean, crisp whites. Poster prints will last 100 years in a typical home display and 200 years in dark storage.